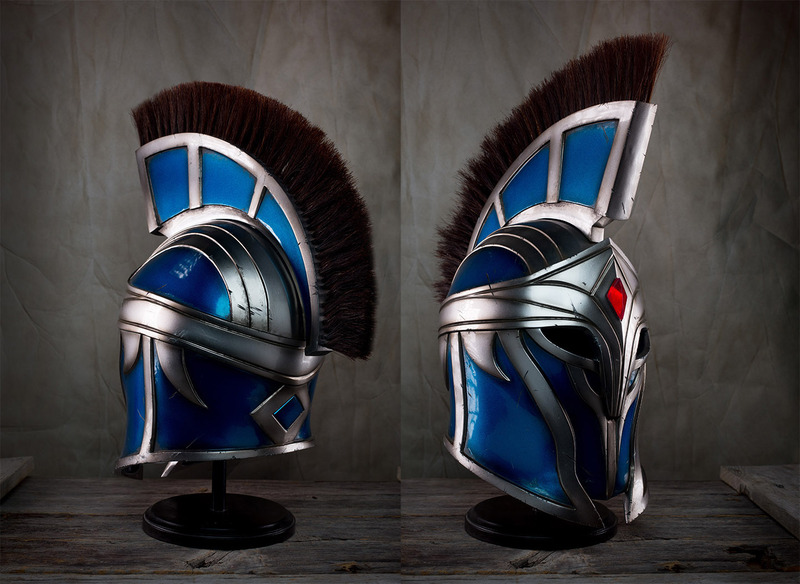 Part two of our promotional partnership for The Elder Scrolls Online! 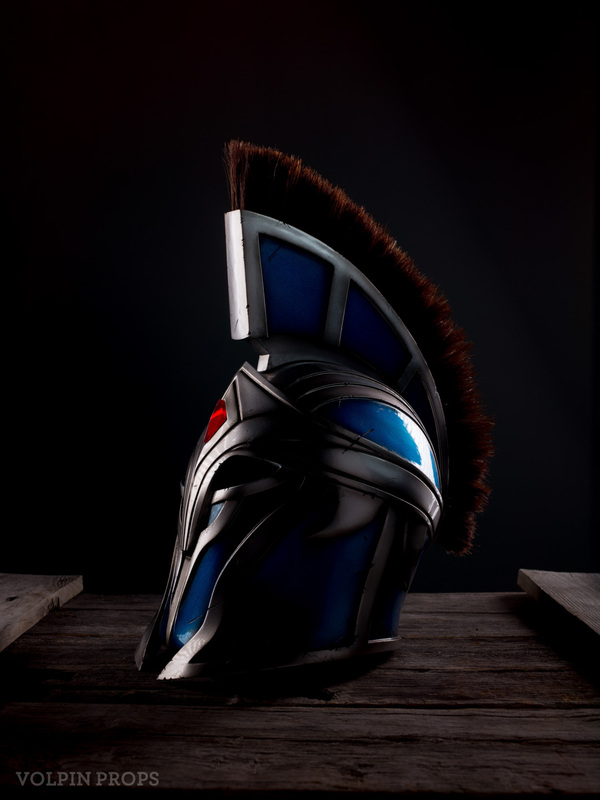 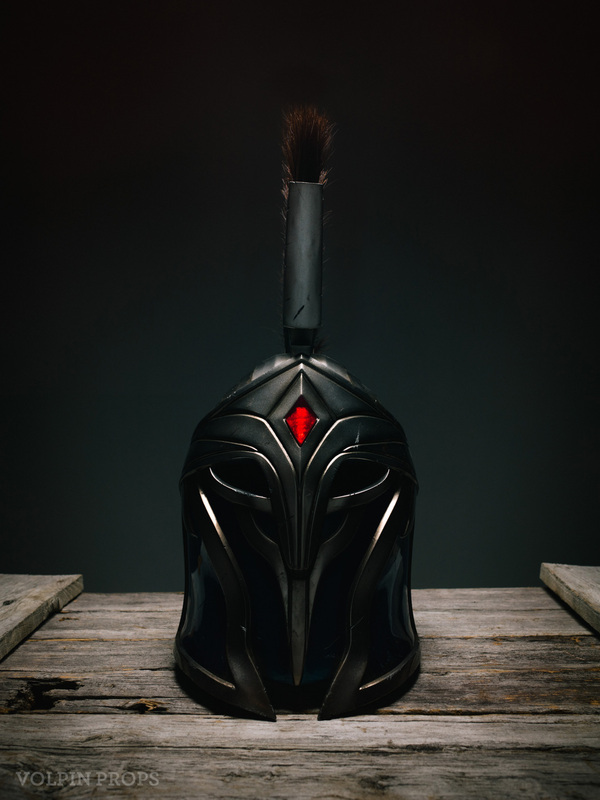 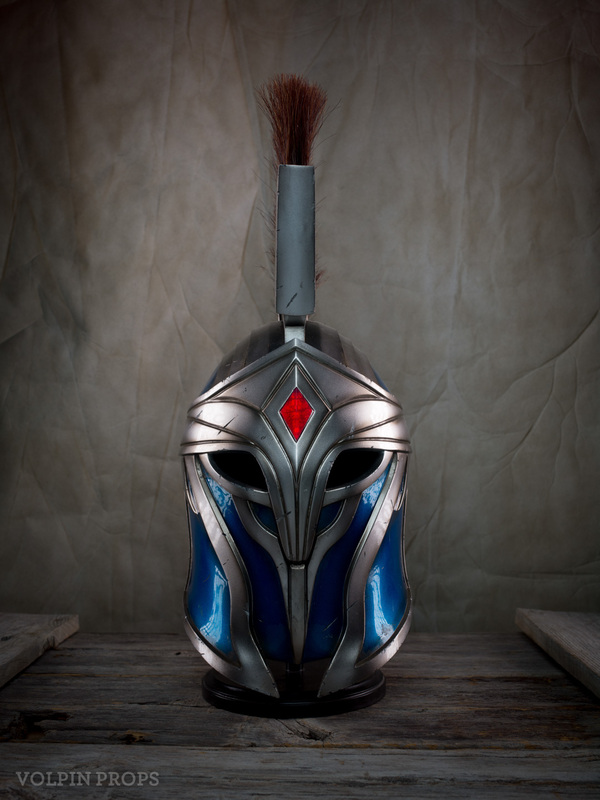 We recreated the Voidsteel Helmet and shipped it off to one lucky winner. 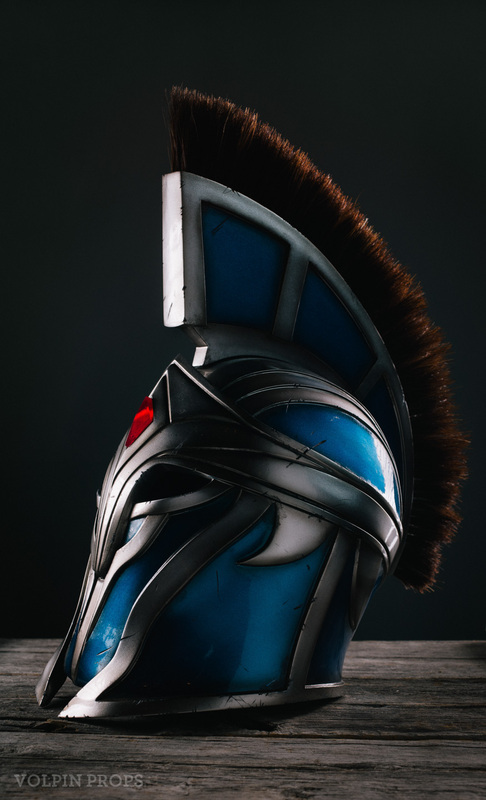 Lacking in-game assets, the helmet was first digitally re-sculpted in ZBrush before 3D printing and assembly. 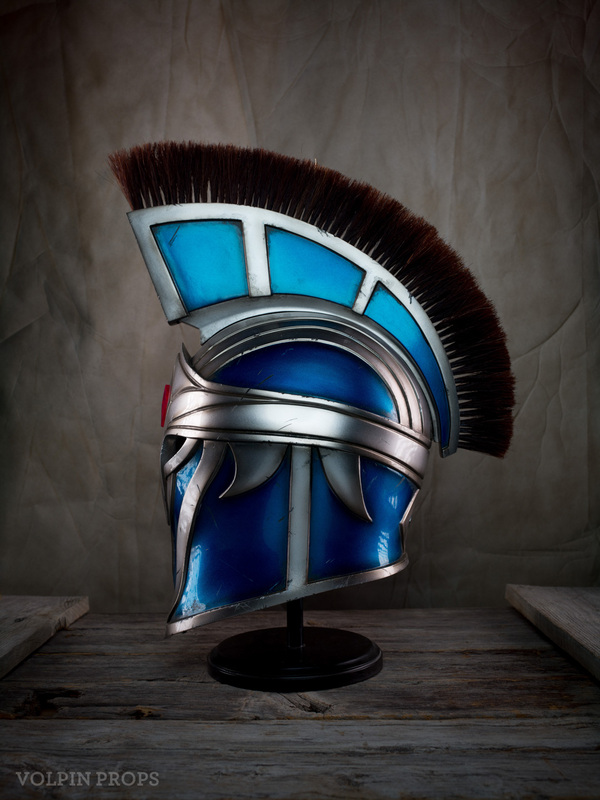 To ensure a sturdy and durable replica, this printed piece was molded and cast from urethane and epoxy resins. 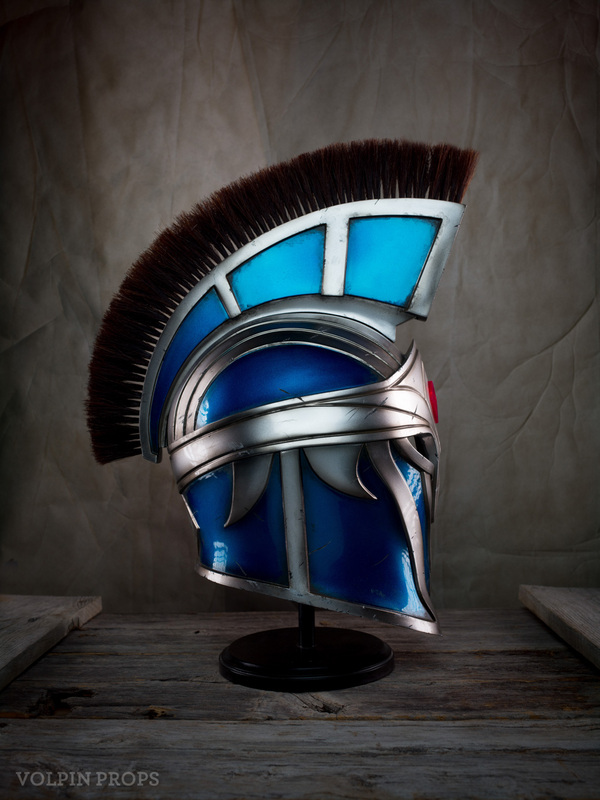 This was followed by a nine-stage paint process; primer, two basecoats of black, two silver, masking, two coats of blue, airbrush gradients, clearcoat, blackwash weathering and finally gouges, scratches and scuffs. 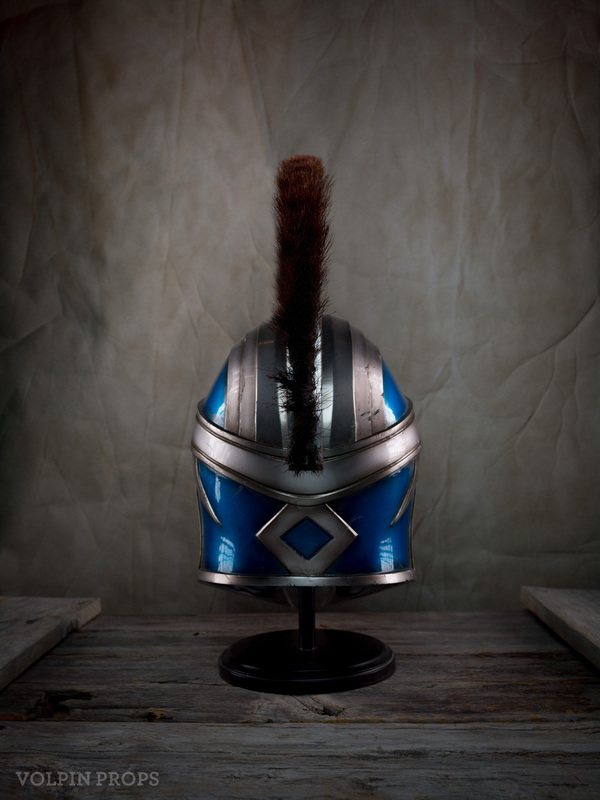 Rich blue and silver gloss tones are juxtaposed against battle damage to imitate use and wear. 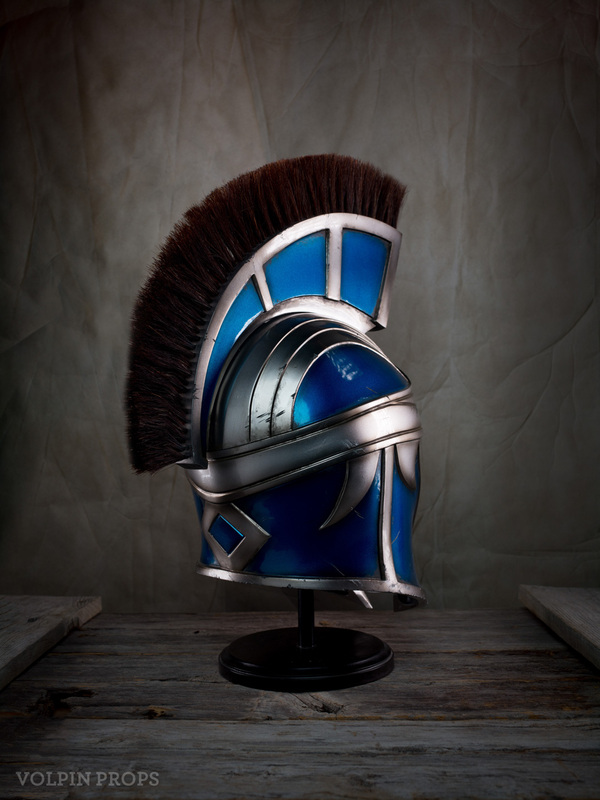 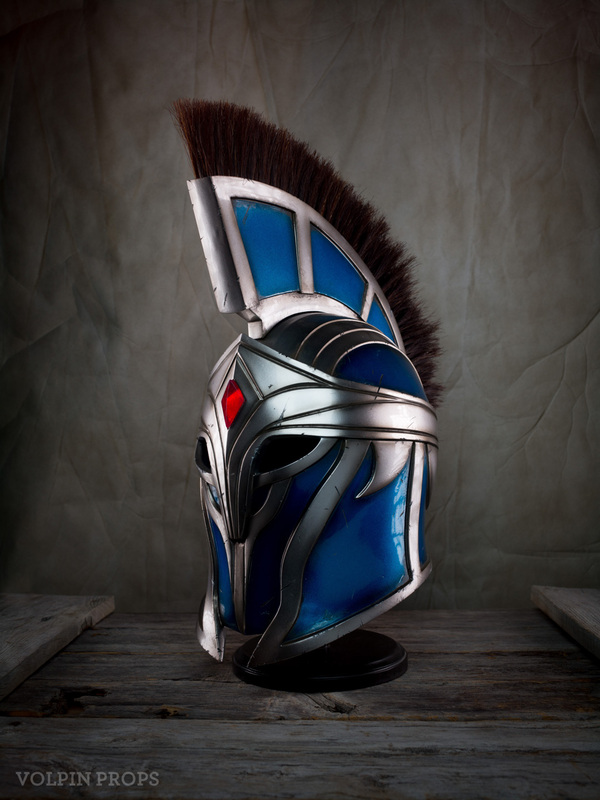 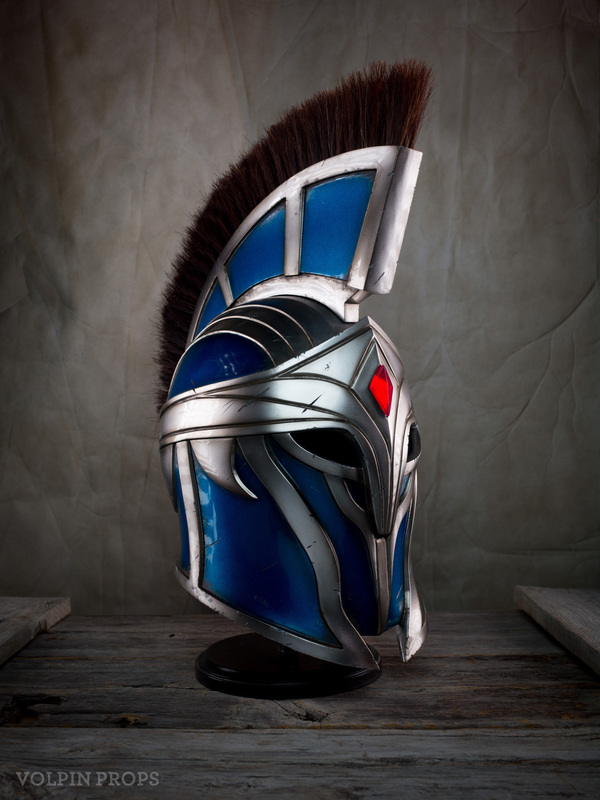 The crest was assembled from over 150 horsehair sections individually woven and glued in place following the style of Roman armor recreations. 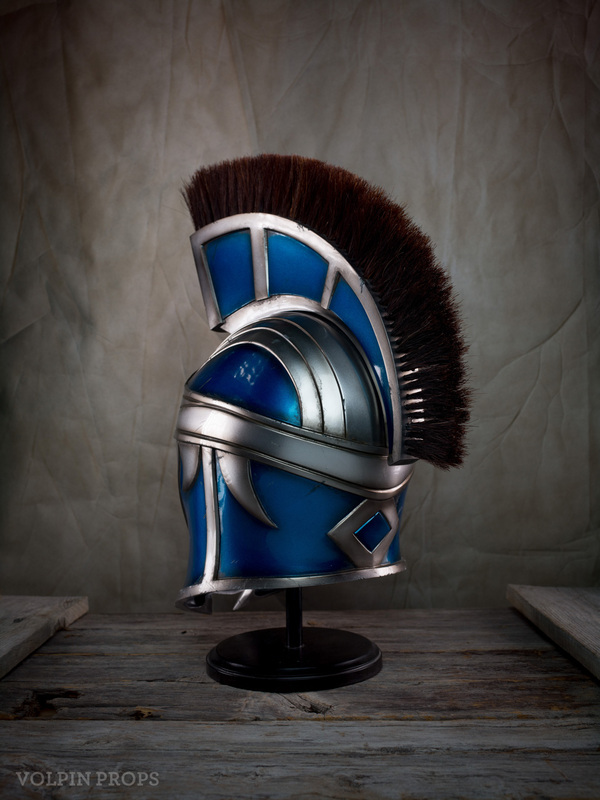 While the finished piece adds almost 9″ of height to the wearer, the replica weighs less than a pound!